How do you feel about percussion recordings? I love them, personally. I've heard people say that percussion recordings are somehow incomplete since they are missing the biggest component of music--melody. 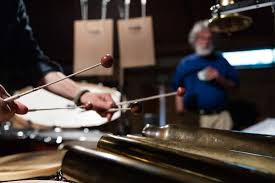 I find plenty of melody in most percussion recordings because, of course, there are specific tones resulting from the striking of an object. While rhythm is the most salient character in these types of recordings, those complex structures of melody often present themselves when you allow yourself to float along with the so-called beats. I've mentioned this before, but many audiophiles will tell you that the female voice will provide you with everything you need to know about a sound system's fidelity. My friend Bob Clarke says it's the grand piano, and I don't disagree. But for me, I can find everything I need to know by listening to a simple drum kit, everything from the visceral impact of the bass drum to the highest shimmer of the cymbals and, most importantly, the way the sound of those impacts react to the recording space. I'm so pleased that 2L Recordings has released Utopias, "Radical Interpretations of Iconic Works for Percussion." As I've repeated ad nauseum, 2L is at the vanguard of sound reproduction in today's world, combining both the latest technology and a keen instinct for providing the finest recording environments. The idea of a pure percussion recording from Morten Lindberg and his associates is almost a cause for celebration--from the moment I slipped this disc into my player I knew I was going to have a transcendent musical experience. Utopias is Kjell Tore Innervik's interpretation of two percussion pieces--two separate variations of Iannis Xenakis' Psappha and one of Morton Feldman's The King of Denmark. Innervik performs these pieces solo, but he is literally all over the place--his assortment of drums, bells and other objects is varied and exciting. At the same time, photos of the recording sessions show the placement of these instruments and how Innervik is tightly surrounded by them. Since the recording was made in one of those big Norwegian churches for which 2L is famous, the resulting sound is huge, in stages. The proximity of the instruments to Innervik's body reduces the amount of movement for him, sounds that would be picked up. Normally that would be a desirable quality for me, the interaction between musician and instrument that I find so vital to realistic recordings, but in this case it would distract from the real thrill here, which is how those struck objects reverberate in the church. You want decay? Utopia is a virtual primer of the nature of decaying sound. So what you're getting here is a tight formation of the source of these sounds, and a seemingly infinite pattern of ripples from that source. It's mesmerizing. If it feels like I'm focusing purely on sound and not the content, that's unfortunate. Innervik's approach to these pieces is unique and the extensive liner notes dig deep into his intentions. There's a fascinating explanation of why Innervik chose to record two different versions of Psappha--he wanted to create two separate perspectives, or "windows," into the piece by performing it twice at different points in time. So what we're getting isn't two distinctive variations of the piece as much as two very human performances and the natural variations that would normally occur. If you're listening to Utopias as background music, which you shouldn't, you may wonder why the two performances are offered back to back. Focus deeply on the piece, meditate, and you'll uncover the reasons. Hint: it has something to do with being human. While the overall effect of these performances reminds me of gamelan music with its intricate and often delicate textures, the music is exhilarating in its simplicity. This is, after all, one man creating an ocean of sound from a fixed point in space. The simple purity of tones here, of the essence of sound, is completely transformative. I have one of those Vietnamese singing bowls next to my bed, and its expansive tone has a powerful effect on my mood and well-being. 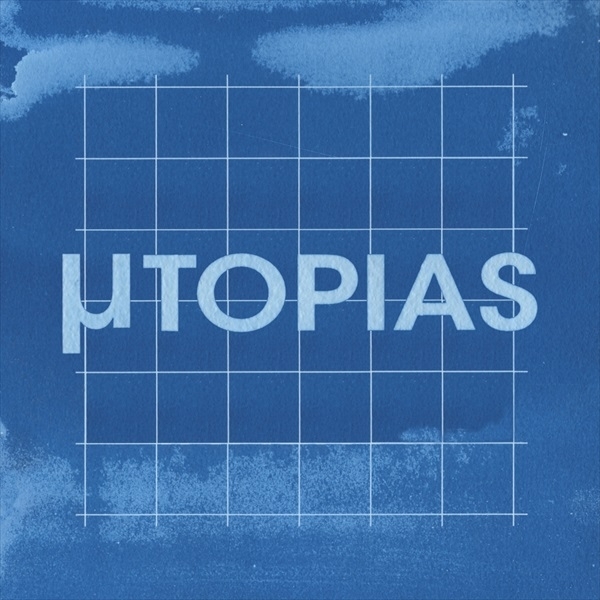 Utopias has that same sense of cathartic power, of reaching deep into your mind and pulling out the most wonderful ideas and feelings. Highly recommended, and one of my favorite of all the amazing recordings from 2L.